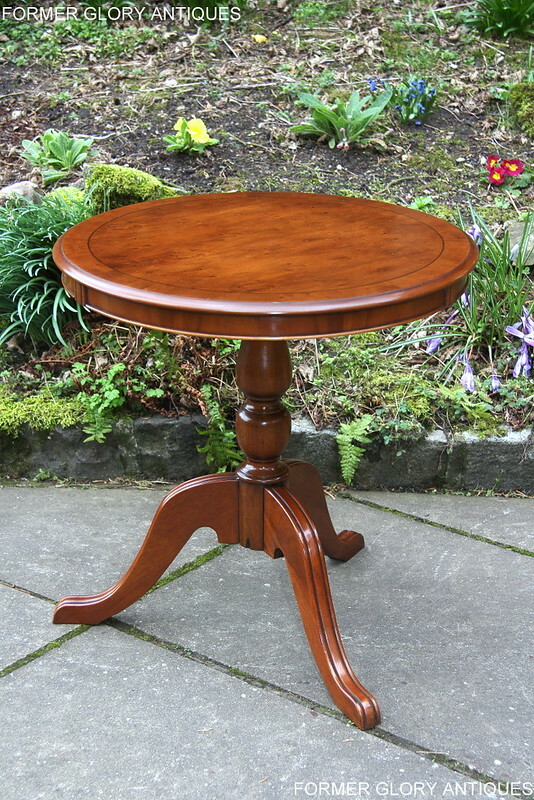 COFFEE / WINE TABLE / PLANT STAND. 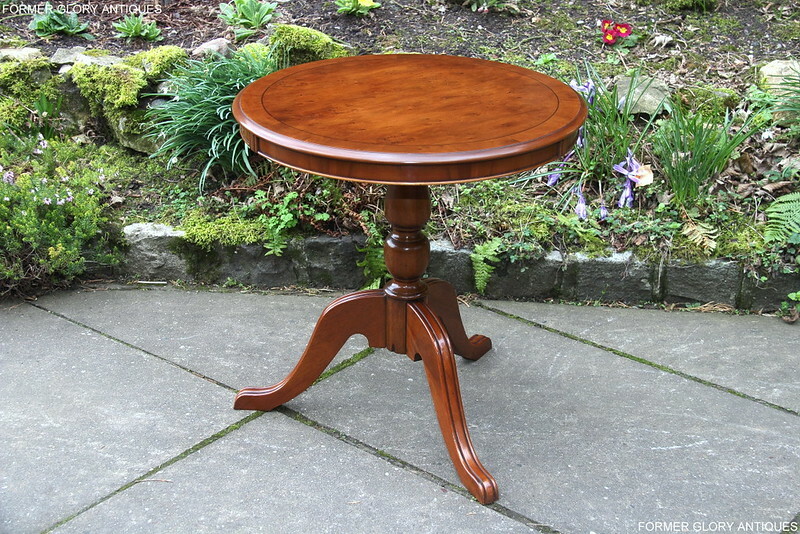 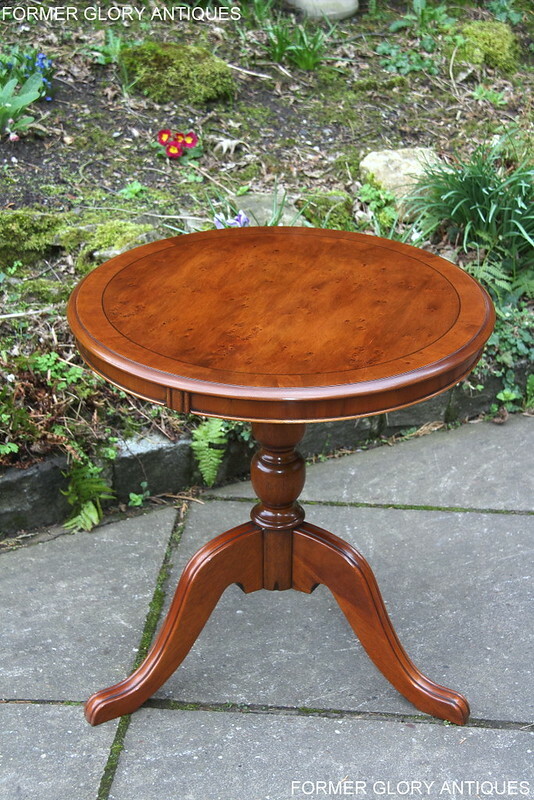 A VERY ATTRACTIVE, EARLY 21st CENTURY, YEW-WOOD, WINE / COFFEE TABLE / PLANT STAND, OF EXCEPTIONAL QUALITY AND CONDITION. 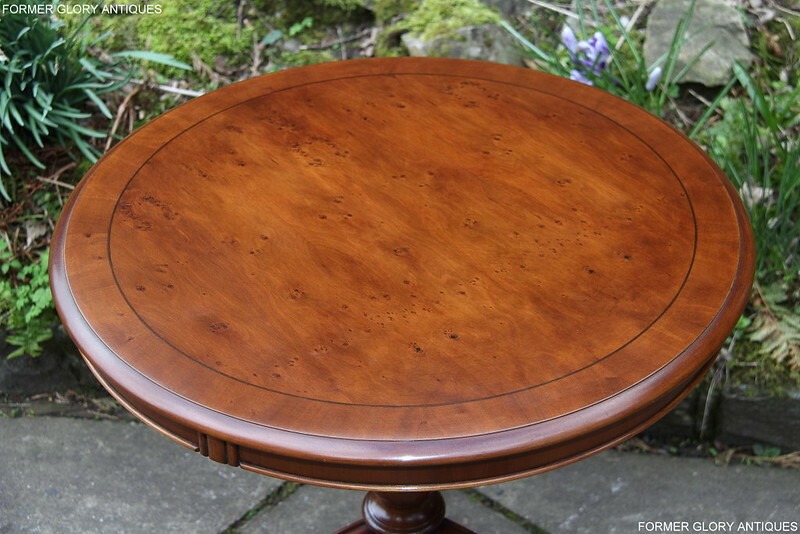 THIS FABULOUS YEW TABLE HAS ATTRACTIVE YEW-WOOD GRAINING THROUGH-OUT AND WOULD SIT NICELY WITH OTHER MATCHING ITEMS OF THE 'BEVAN FUNNELL' / 'BRADLEY' YEW -WOOD RANGE FURNITURE. 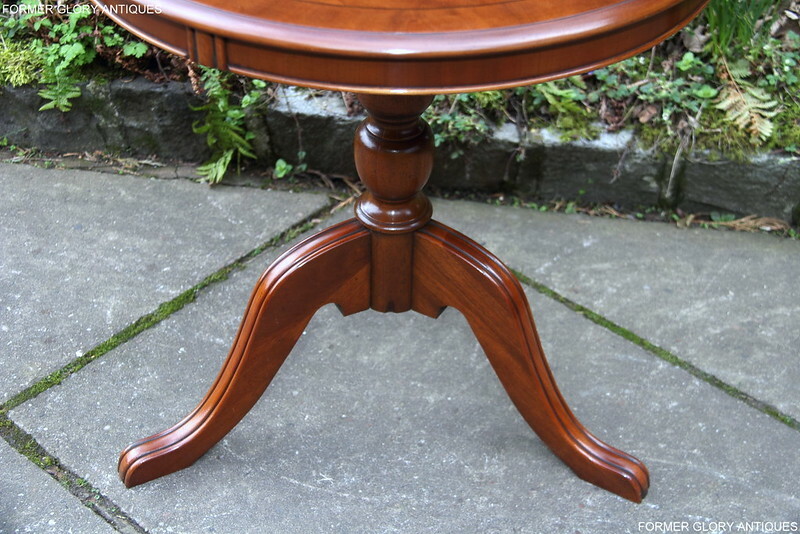 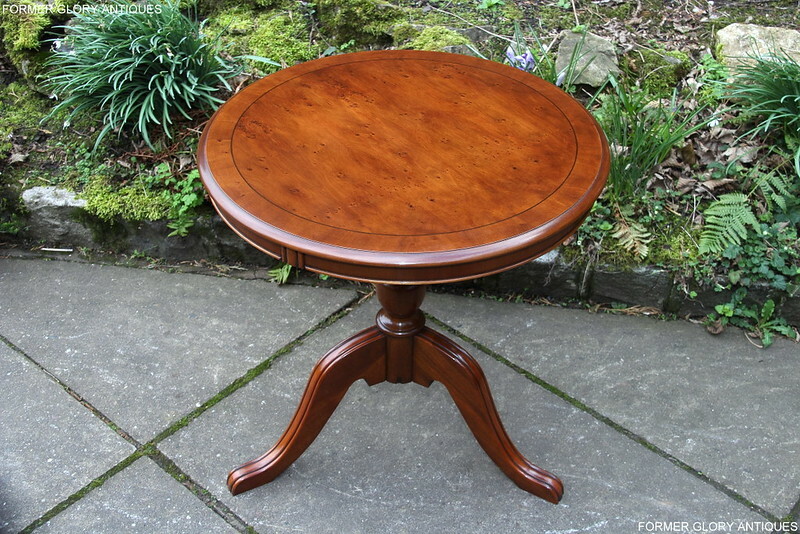 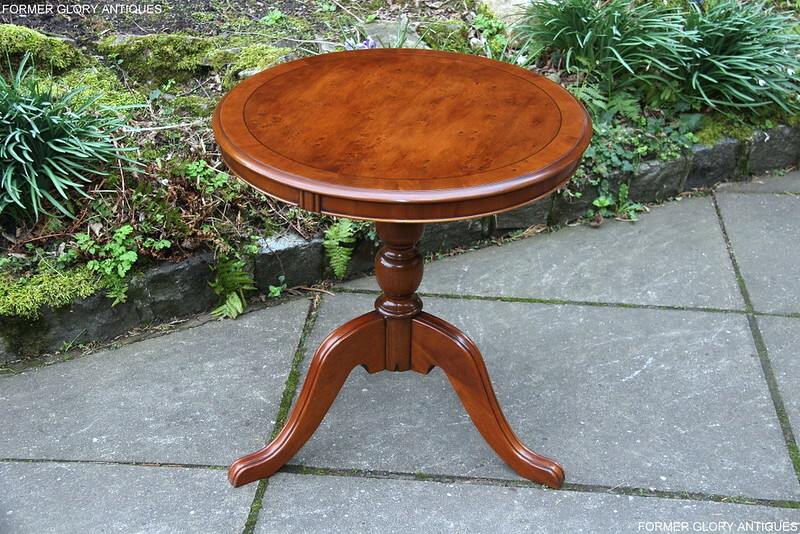 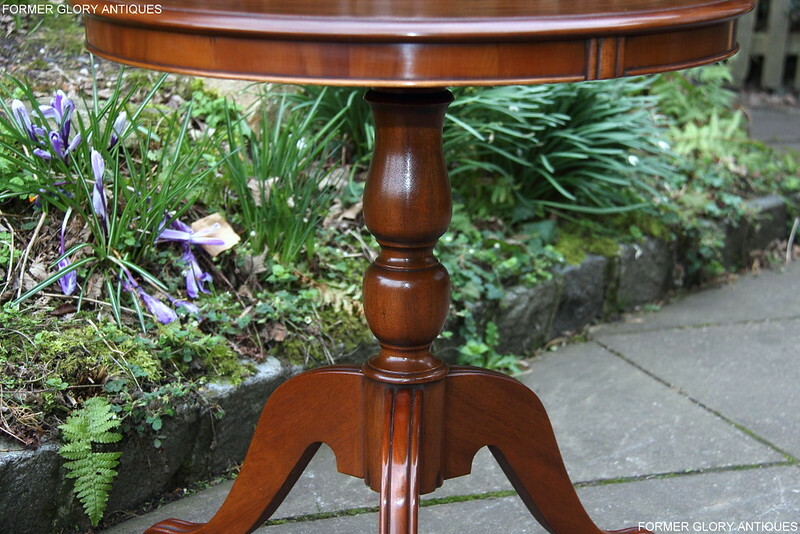 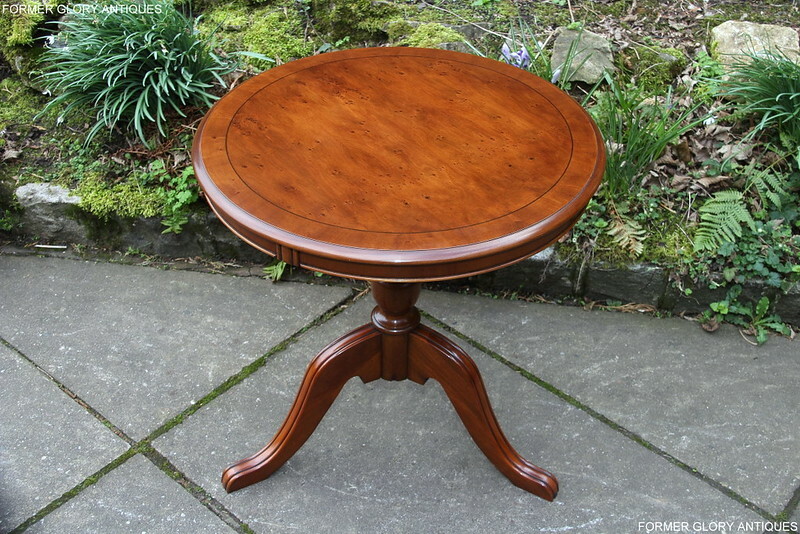 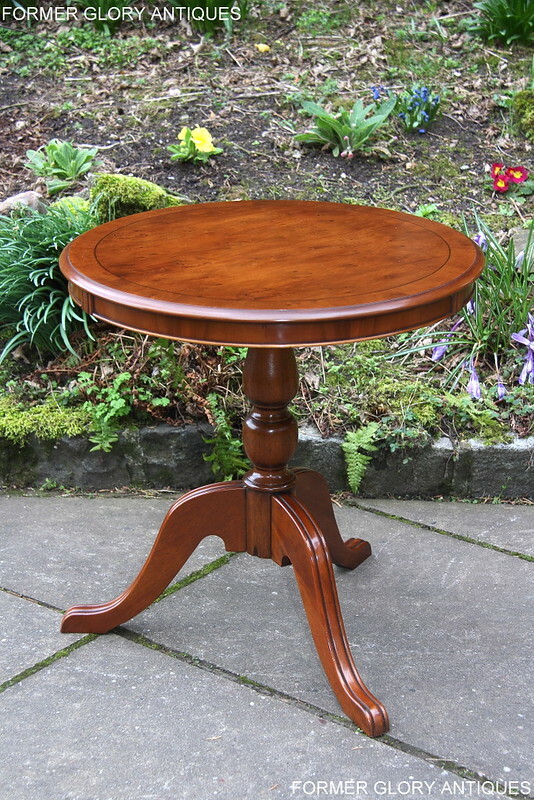 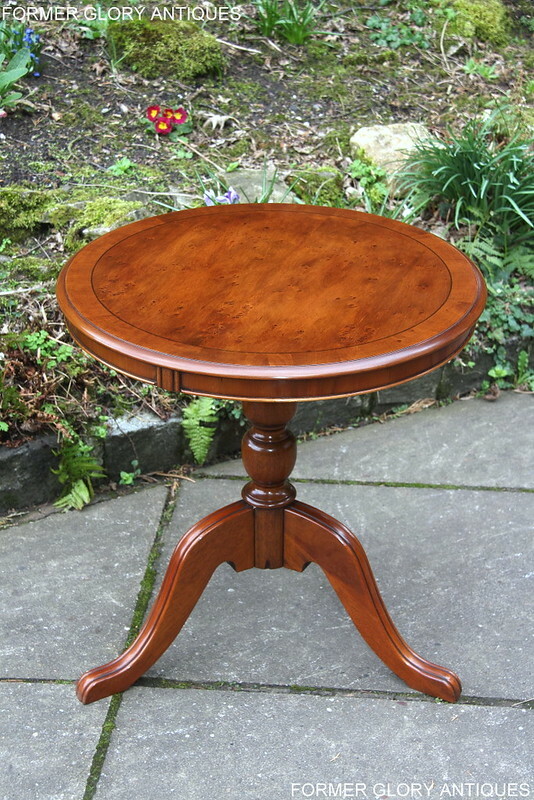 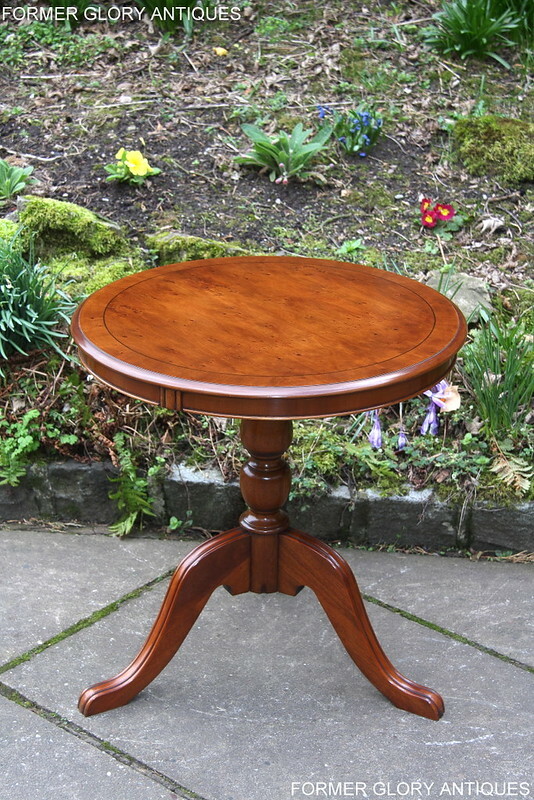 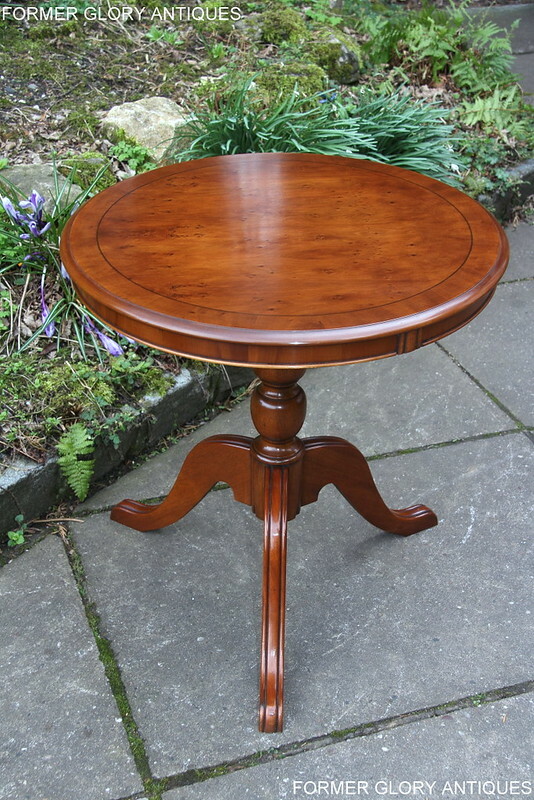 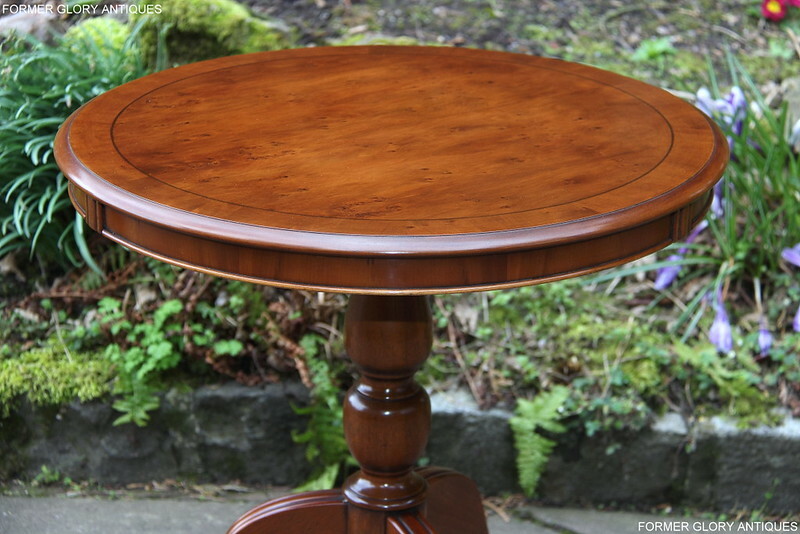 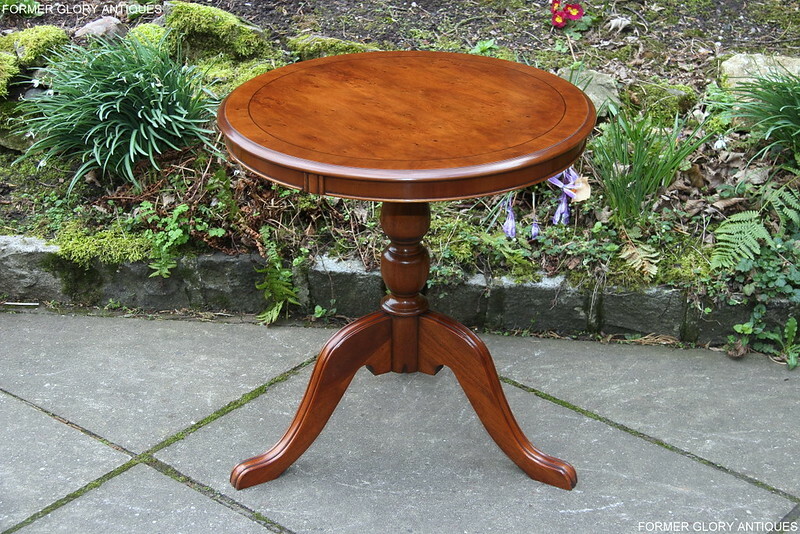 THE TABLE HAS A STYLISH ROUND TOP, WITH A TRADITIONAL MOULDED 'THUMB-NAIL' EDGE. 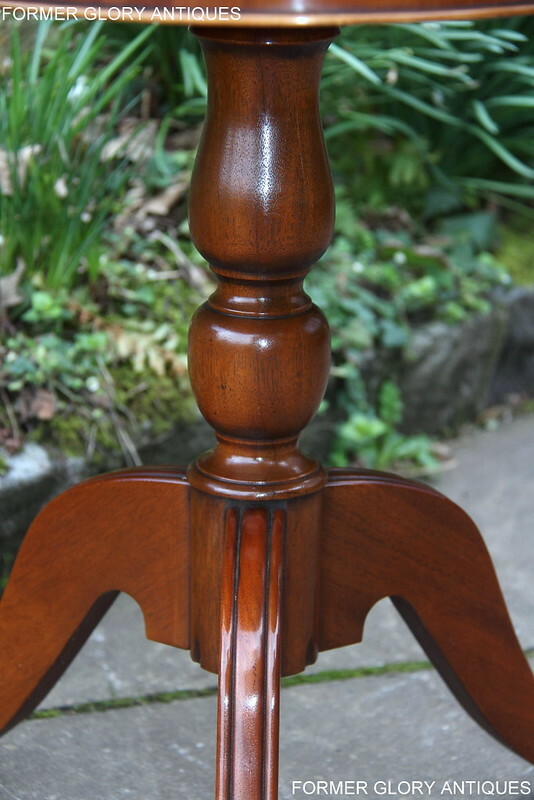 IT ALSO HAS DECORATIVE 'CROSS-BANDED', 'BOX-WOOD' STRING INLAID BORDERS, WITH AN INSET MOULDED AND BEADED FRIEZE BELOW. 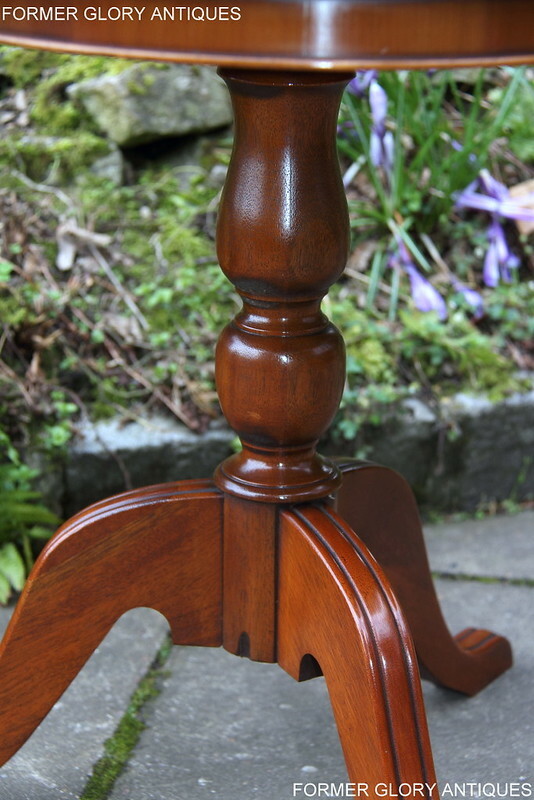 THERE IS A 'RING TURNED', CENTRE COLUMN BELOW THE OVER-SAILING ROUND TOP AND IT STANDS ON TRADITIONAL 'OUT-STRETCHED' 'REEDED' LEGS, FOR GREATER SUPPORT. 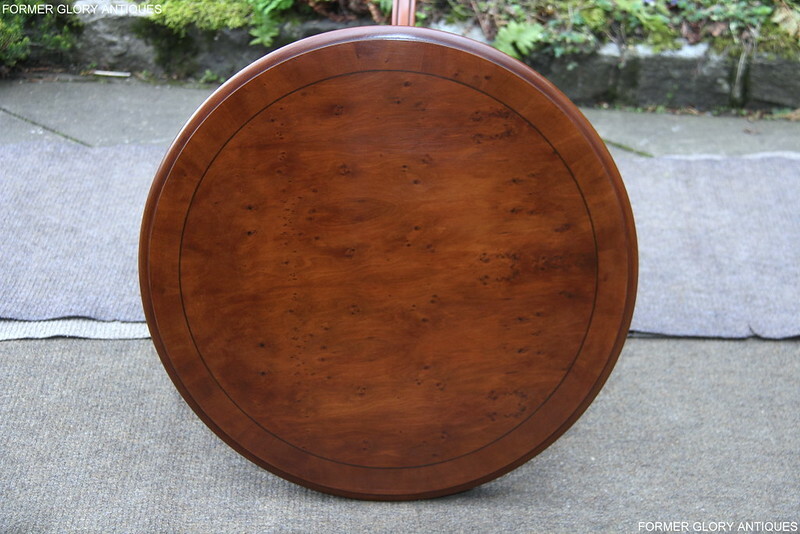 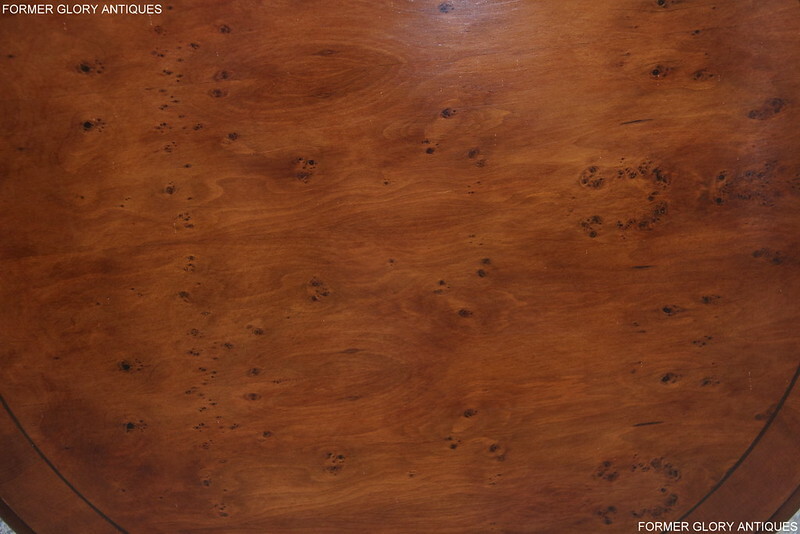 THIS SUPERIOR QUALITY YEW-WOOD, WINE TABLE HAS BEEN CLEANED, RE-POLISHED, IT IS IN EXCELLENT / NEW CONDITION THROUGH-OUT, WITH ALL 'WEAR AND TEAR' / 'CHARACTER' / ''MINOR MARKS FROM USE'' (DAMAGE) BEING REMOVED. 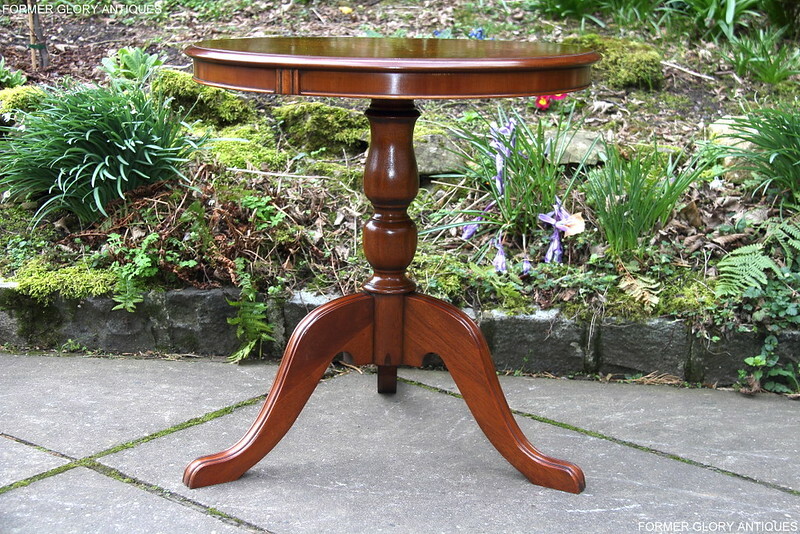 A STYLISH YEW TABLE THAT WOULD BE A VERY USEFUL AND ATTRACTIVE ADDITION TO ANY HOME. 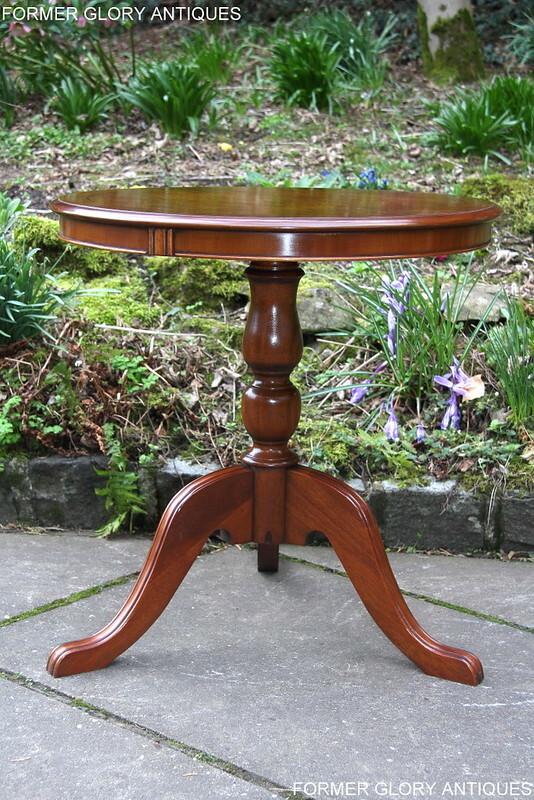 HEIGHT 24", WIDTH 23 1/2", DEPTH 23 1/2".